I feel like I've finally made it to the stage where things are going to start progressing quickly. Prior to week 36, when I heard mothers say "It goes by so quickly, doesn't it?" I would nod but deep down felt "WHAT ARE YOU TALKING ABOUT!? I FEEL LIKE I'VE BEEN PREGNANT FOR THREE YEARS!?" This makes me laugh now but sometimes, yes, pregnancy does feel like it drags on! I met with my home birth midwife, Madelaine, this week, which went great! My husband was at home, as were my two youngest children. All of our questions were answered and I was pleasantly surprised when Madelaine came right out and asked what my fears are about my upcoming birth. I disclosed to her that the heaviest thing on my mind was my youngest child being at home during my birth and how he will react. I have a feeling I will go into labour in the evening, as I have with all of my previous births (which is very common). There is a good chance he will sleep through the entire thing but if he doesn't, I have no clue how he will react. He is by far my most "attached" child. He likes to be close to his mommy and if he sensed I was in any sort of pain, I can imagine that being distressing for him. At the age of two, I know he wouldn't be able to fully comprehend what was happening to me. Thankfully we do have a white noise machine, which he is used to, that we can put on to help drown out any birth noises I may make and my in-laws are only a five minute drive away. I have already packed a "Nana and Grandad bag" with a new toy, some snacks, a change of clothes, etc. so should he need to be minded, that is ready to go! Can you tell I like to be fully prepared!? By 36 weeks it is generally recommended that you have your birth preferences printed out and already discussed with your consultant or midwife. I spoke about some of my preferences with my midwife and I am making it a goal to print off my hospital birth preferences, should I need to be transferred. I will be discussing them with both my partner and midwife when we meet next. It's important that your birth partner knows your birth preferences well so they can help advocate on your behalf if needed in hospital! I'm also finishing my birth vision board, which will be placed in my birth space. I continue to listen to my birth hypnosis tracks, I'm reading birth affirmations daily now and I'm getting the last few items recommended for those planning a home birth. I'm feeling more prepared and ready to meet this baby! I also have everything prepared so I can encapsulate my own placenta at home! I'm making a placenta essence, tincture, balm and face oil as well! I've never processed my own placenta but I am told it can be a very emotional experience! Physically my body is seriously slooooooowing down! It's taking me longer to get up and down stairs and my husband says I am officially waddling about the place! I'm still managing to exercise 4-5x a week but yes, I'm definitely moving at a slower pace. My appetite has actually reduced (which is normal) and it feels like I'm going to the loo at least twenty times a day! Take a look below at some things you may expect during your 36th week of pregnancy! It is common for babies to be approximately 18 1/2 inches long and weigh in at close to 6 lbs. this week. The soft, downy hair (called lanugo) that was covering your baby during gestation is continuing to shed as birth approaches. Baby will also continue to shed the waxy, protective substance that covered their skin during gestation, vernix caseosa. Your baby swallows both of these substances and they will help make up baby's first bowel movement, called meconium. Both baby and your growing uterus continue to take up more room in your abdominal cavity. This can increase bouts of acid reflux, bring on more general discomfort, lead to more shortness of breath, increase pressure applied to your pelvis, swelling and the need to eat smaller meals. On the flip side, your baby may "drop" down into your pelvis as labour nears. When this happens people often call it "lightening" because you may suddenly be able to breathe easier, feel like you have more room in your abdomen for larger meals and feel increased pressure in your pelvis. Toilet breaks might increase, you may have more pelvic discomfort and feel more pelvic pressure when walking or performing other activities. Some women say it feels like they have a bowling ball between their legs! 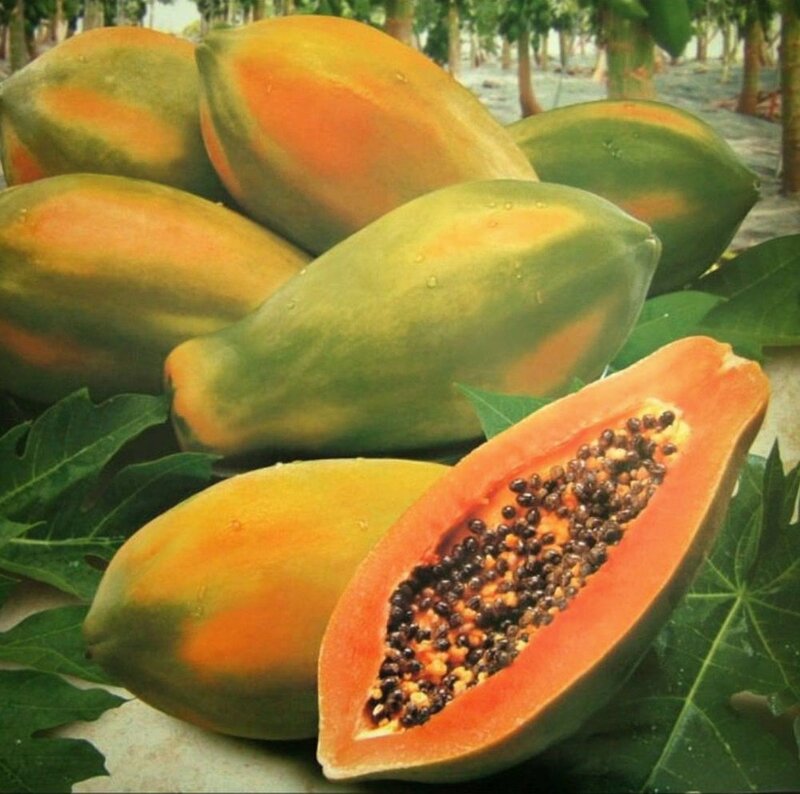 At 36 weeks your baby is approximately the size of a large papaya!